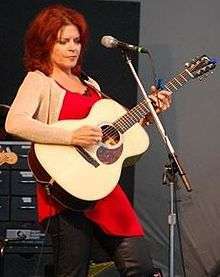 Rosanne Cash (born May 24, 1955) is an American singer-songwriter and author. She is the eldest daughter of country music icon Johnny Cash and his first wife, Vivian Liberto Cash Distin. Although Cash is often classified as a country artist, her music draws on many genres, including folk, pop, rock, blues, and most notably Americana. In the 1980s, she had a string of chart-topping singles, which crossed musical genres and landed on both the country and pop charts, the most commercially successful being her 1981 breakthrough hit "Seven Year Ache," which topped the U.S. country singles charts and reached the Top 30 on the U.S. pop singles charts. In 1990, Cash released Interiors, a spare, introspective album which signaled a break from her pop country past. The following year Cash ended her marriage and moved from Nashville to New York City, where she continues to write, record and perform. Since 1991 she has released five albums, written two books and edited a collection of short stories. Her fiction and essays have been published in The New York Times, Rolling Stone, The Oxford American, New York Magazine, and various other periodicals and collections. She won a Grammy in 1985 for "I Don't Know Why You Don't Want Me", and has received twelve other Grammy nominations. She has had 11 No. 1 country hit singles, 21 Top 40 country singles and two gold records. Cash was the 2014 recipient of Smithsonian magazine's American Ingenuity Award in the Performing Arts category. On February 8, 2015, Cash won three Grammy awards for Best Americana Album for The River & the Thread, Best American Roots Song with John Leventhal and Best American Roots Performance for A Feather's Not A Bird. Cash was honored further on October 11, 2015 when she was inducted into the Nashville Songwriters Hall of Fame. She was portrayed, as a child, by Hailey Anne Nelson in Walk the Line, the 2005 Academy-award-winning film about her father's life. Her self-titled debut album was recorded in 1978, but Ariola never released it in the United States, and it has since become a collector's item. Mainly recorded and produced in Munich, Germany, with German-based musicians, it also included three tracks recorded in Nashville and produced by Crowell. Though Cash was unhappy with the album, it attracted the attention of Columbia Records, who offered her a recording contract. She began playing with Crowell's band The Cherry Bombs in California clubs. Crowell and Cash married in 1979, and Cash started work on her first Columbia LP. Cash's career picked up considerable momentum with the release of her second album, Seven Year Ache, in 1981. The album achieved critical raves and solid sales, and the title track was a No. 1 hit on the Billboard Country Chart, and crossed over to the Billboard Pop Chart, peaking at No. 22. The album yielded two additional No. 1 country hits, "My Baby Thinks He's a Train" and "Blue Moon with Heartache", and was certified Gold by the RIAA. Cash's third album, Somewhere in the Stars (1982), was considered a disappointment after the commercial success of Seven Year Ache. The album still reached the Top 100 of the U.S. pop album charts, and included three U.S. country chart singles, "Ain't No Money", "I Wonder" and "It Hasn't Happened Yet". Cash struggled with substance abuse during this time, and in 1984 she sought medical treatment. In 1990, Cash released the critically acclaimed, deeply personal Interiors. Cash produced herself for the first time, and wrote or co-wrote all the songs. "Her brutally dark take on intimate relationships was reflected throughout and made clear the marital problems that had been hinted at on earlier albums." "Highly autobiographical (though Cash has often insisted it isn't quite as true to life as everyone assumes), Interiors was a brilliant, introspective album" and "her masterpiece". Other critics called it "maudlin" and "pessimistic". Interiors topped many best album lists in 1990, and received a Grammy award nomination for Best Contemporary Folk Album. It yielded one Top 40 single ("What We Really Want"), and marked the beginning of sharp commercial decline for Cash. Cash settled in lower Manhattan, and in 1995 married producer/songwriter/guitarist John Leventhal, with whom she had co-produced The Wheel. She signed with Capitol Records, and in 1996 released 10 Song Demo, a collection of stark home recordings with minimal accompaniment. She also pursued a career as a writer, and in 1996 Hyperion published her short story collection Bodies of Water, to favorable reviews. In 1997, Cash was awarded an honorary doctorate from Memphis College of Art. She gave the commencement address that year and continues to speak publicly on writing and music. Unable to record, Cash focused on her writing. Her children's book Penelope Jane: A Fairy's Tale, which included an exclusive CD, was published by Harper Collins in 2000, and in 2001 she edited a collection of short fiction by songwriters titled Songs Without Rhyme: Prose by Celebrated Songwriters. Recovering her voice, she resumed recording and in 2003, released Rules of Travel, her first full-fledged studio album for Capitol. The album had guest appearances by Sheryl Crow and Steve Earle, a song co-written by Joe Henry and Jakob Dylan, and the poignant "September When It Comes," a duet with her father. Rules of Travel was nominated for a 2003 Grammy Award for Best Contemporary Folk Album. In 2006, Cash released Black Cadillac, an album marked by the loss of her stepmother, June, and father, Johnny, who both died in 2003; and her mother, Vivian, Johnny's first wife, who died as Rosanne finished the album in 2005. The album was critically praised, and named to the Top 10 lists of the New York Times, Billboard, PopMatters, NPR and other general interest and music publications. The album was nominated for a 2006 Grammy Award for Best Contemporary Folk/Americana Album. In addition to her own recordings, Cash has made guest appearances on albums by Jeff Bridges, Rodney Crowell, Guy Clark, Vince Gill, Lyle Lovett, Mary Chapin Carpenter, Marc Cohn, The Chieftains, John Stewart, Willy Mason, Mike Doughty, and others, as well as children's albums by Larry Kirwan, Tom Chapin, and Dan Zanes and Friends. She has also appeared on tribute albums to The Band, Johnny Cash, Bob Dylan, Woody Guthrie, Jimi Hendrix, John Hiatt, Kris Kristofferson, Laura Nyro, Yoko Ono, Doc Pomus and Tammy Wynette. 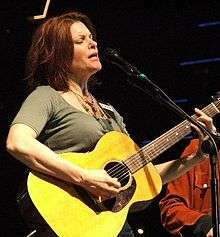 Rosanne Cash signed with Blue Note Records in 2013 to release a new original album. The River & the Thread was released on January 14, 2014. It is Cash's first album in more than four years. The River & the Thread is a collection of songs written with husband and collaborator John Leventhal, inspired by trips through the American South. Cash describes The River & The Thread as “a mini-travelogue of the South, and of the soul.” The Journey included visits to father Johnny Cash’s childhood home in Dyess, Arkansas; her own early childhood home in Memphis, TN; William Faulkner’s house, Dockery Farms in Cleveland, MS; the plantation where Howlin’ Wolf and Charley Patton worked and sang; Natchez, MS, the blues trail; the Tallahatchie Bridge; as well as a visit with Natalie Chanin, a master seamstress in Florence, Alabama. On 8 February 2015, Cash won three Grammy awards for Best Americana Album for The River & The Thread, and Best American Roots Song with John Leventhal and Best American Roots Performance for "A Feather's Not A Bird". In 2015 Cash was inducted into the Nashville Songwriters Hall of Fame, honored as Artist-in-Residence at the Country Hall Music Hall of Fame and Museum, and selected as Carnegie Hall's 2015-2016 Perspective Series Artist. Cash's parents, Johnny Cash and Vivian Liberto, were married in San Antonio, Texas, in 1954. She has three younger sisters, Kathy, Cindy and Tara. Johnny and Vivian divorced in 1966, and he married June Carter in 1968. Cash's stepsisters are country singers Carlene Carter and Rosie Nix Adams, also known as Rosey Carter, June Carter's daughters from her first two marriages. Johnny and June's son John Carter Cash is Rosanne's half brother. Cash's stepmother and father died in 2003. Cash married country music singer-songwriter Rodney Crowell in 1979. They have three daughters: Caitlin, Chelsea and Carrie. Cash also raised Crowell's daughter, Hannah, from a previous marriage. Cash and Crowell divorced in 1992. She married her second husband, John Leventhal, in 1995, and they have one son, Jakob. Cash lives with her husband, son and youngest daughter in Chelsea, Manhattan. On November 27, 2007, Cash was admitted to New York's Presbyterian Hospital for brain surgery. In a press statement, she announced that she suffered from Chiari Malformation Type I and expected to "make a full recovery". The surgery was successful, though recovery was slow, and in March 2008 she was forced to cancel her spring tour dates for further recuperation. She wrote about the experience in her New York Times article "Well, Actually, It Is Brain Surgery". She resumed writing, recording and performing in late summer of 2008. In 2014 Cash contributed essays to the Oxford-American and the book of collected essays edited by Sari Botton Never Can Say Goodbye: Writers On Their Unshakable Love For New York. She was also featured in Gael Towey’s Portraits in Creativity as a featured artist for her Profile Series. Cash is a dedicated supporter of artists’ rights in the digital age and sits on the board of the Content Creators Coalition. On June 25, 2014, Cash testified before The House of Representatives, Judiciary Committee on intellectual property rights and Internet music licensing. 1 2 "Rosanne Cash, Mark James & More Inducted to Nashville Songwriters Hall of Fame". 1 2 3 4 Cash, Rosanne (November 25, 2013). "Long Way Home". Oxford American. Retrieved December 15, 2013. ↑ Wolff, Kurt (2000). In Country Music: The Rough Guide. Orla Duane, Editor. London: Rough Guides Ltd. p. 465. ↑ Johnson, Brett (2007-11-18). "Johnny Cash's first wife tells of romance, heartbreak — They walked the line". Ventura County Star. Retrieved 2014-06-01. ↑ "BMI - Repertoire Search". 1 2 3 4 Irwin Stambler and Grelun Landon (2000). In Country Music: The Encyclopedia. New York: Macmillan p. 80. ↑ "Independent Music Awards – Past Judges". Independentmusicawards.com. Retrieved 2013-01-11. ↑ 2007 Grammy Nominations: The Complete List of Country Artists, Albums and Songs Country Music Television News & Updates; retrieved 1-01-09. 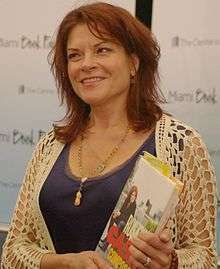 ↑ Rosanne Cash to Undergo Brain Surgery Country Music Television News & Updates; retrieved 1-01-09. 1 2 Rosanne Cash Recuperating from Brain Surgery Country Music Television & Updates; retrieved 1-01-09. ↑ "Fresh Air from WHYY: Rosanne Cash Runs Down Her Father's 'List'". Fresh Air. NPR; WHYY. Retrieved 2009-10-06. ↑ "Holding a Mirror to Family and Song". The New York Times. August 11, 2010. ↑ Startribune.com: "Rosanne Cash makes her symphonic debut" "startribune.com";retrieved 10-01-13. ↑ "Land of Dreams" Full Length Video. YouTube (2012-04-20). Retrieved on 2013-11-01. ↑ SAG-AFTRA TV: The AFTRA Media and Entertainment Excellence Awards – 2012 Highlightssagaftra.com; retrieved 01-29-13. ↑ "John Mellencamp – Official Website :: Homepage". Mellencamp.com. Retrieved 2013-01-11. ↑ Song premiere: Rosanne Cash's "Ghost Brothers" tune. Usatoday.com (2013-04-08). Retrieved on 2013-11-01. ↑ APAP365.org: "Arts Presenters Announces APAP|NYC2013 Speakers Lineup" "APAP365.org"; retrieved 10-01-13. ↑ "Rosanne Cash to Release Blue Note Debut 'The River & The Thread' In Jan. 2014"; "Bluenote.com"; retrieved 10-01-13. ↑ "About - Rosanne Cash". 1 2 "The River & The Thread Chart Topping - Rosanne Cash". December 17, 2014. ↑ "Rosanne Cash Selected as 2015 Artist-in-Residence at the Museum". 1 2 "Rosanne Cash", NNDB, retrieved 1-01-09. ↑ Sisario, Ben (February 2, 2012). "Rosanne Cash, the Rubin Art Museum's Resident Musician". The New York Times. ↑ "Rosanne Cash recovering from brain surgery - Entertainment - Celebrities - TODAY.com". MSNBC. December 12, 2007. Retrieved 2013-01-11. ↑ Cash, Rosanne (April 5, 2008). "Well, Actually, It Is Brain Surgery". The New York Times. Retrieved May 22, 2010. ↑ About | CPYV : The Center to Prevent Youth Violence. CPYV. Retrieved on 2013-11-01. ↑ PAX Benefit Gala to Honor Rosanne Cash PAX-USA.org; retrieved 1-1-09. ↑ "Creative Writing BA - Fairleigh Dickinson University (FDU)". ↑ "Insiders Guide: The Private Clubs". ↑ 2012 Lineup to be Announced. Johnny Cash Music Fest (2011-08-04). Retrieved on 2013-11-01. ↑ "Never Can Say Goodbye". ↑ "Rosanne Cash Testifies Before Congress In Defense Of Artists' Rights « American Songwriter". June 24, 2014. ↑ Articles by Rosanne Cash "Rosannecash.com"; retrieved 1-29-13. "My Baby Thinks He's a Train"